Hydro Instruments keeps all parts and most systems in stock. When you need a part, component, or new system you can be sure that Hydro will act quickly. This is the way we have done business since 1978. Hydro Instruments' designs permit easy repairs and replacement parts when needed. We are constantly improving and upgrading our design to improve product performance. 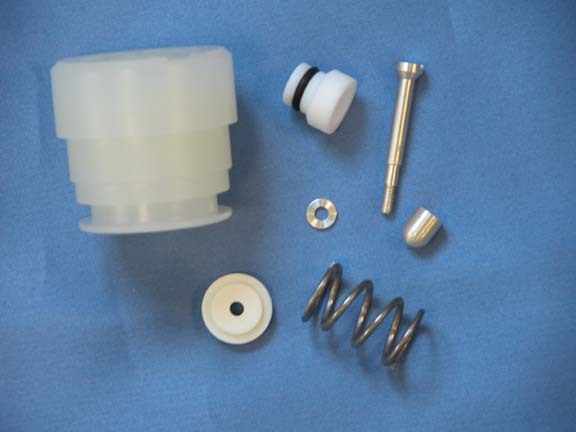 In addition, we work hard to offer the most competitive spare parts prices. We also offer a competitively priced, high quality factory rebuild and testing service with an average turn around time of two business days. All factory rebuilds are warranteed for one year. Copyright © 2019 PT. Victory Citra Persada - All Rights Reserved.